Hi guys!!! Just back from vacay and thought I'd share a look from my last day. The comfy fabric and the low sides make it comfy and uber chic. It's BB Dakota and you can get yours HERE! 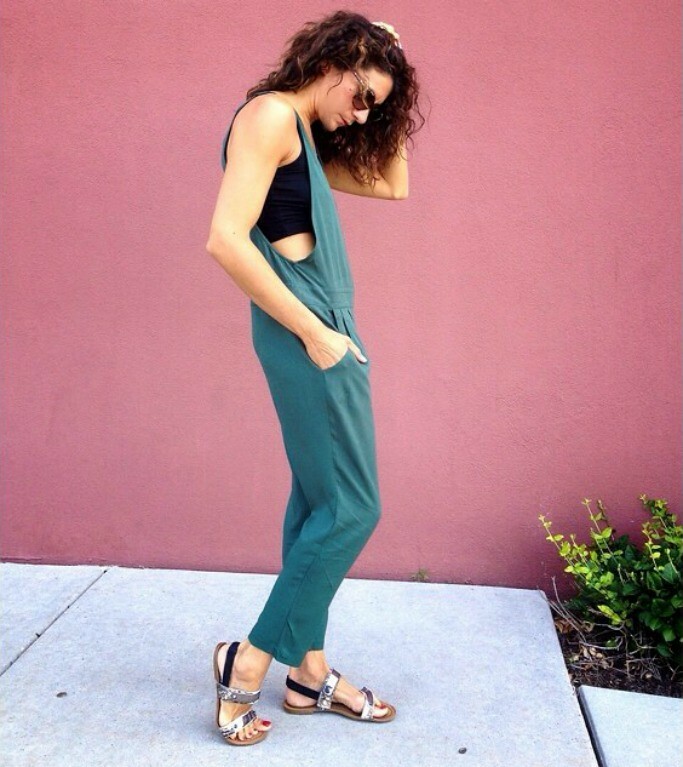 This entry was posted on Friday, July 18, 2014 and is filed under green,jumpsuit,one piece. You can follow any responses to this entry through the RSS 2.0. You can leave a response. Love how edgy this look is! Such a lovely laid-back outfit! Oops...these aren't your silver Birks; but maybe I just gave you another idea, ha ha!! I love how relaxed and effortless this outfit is, but so cool and well put together at the same time!